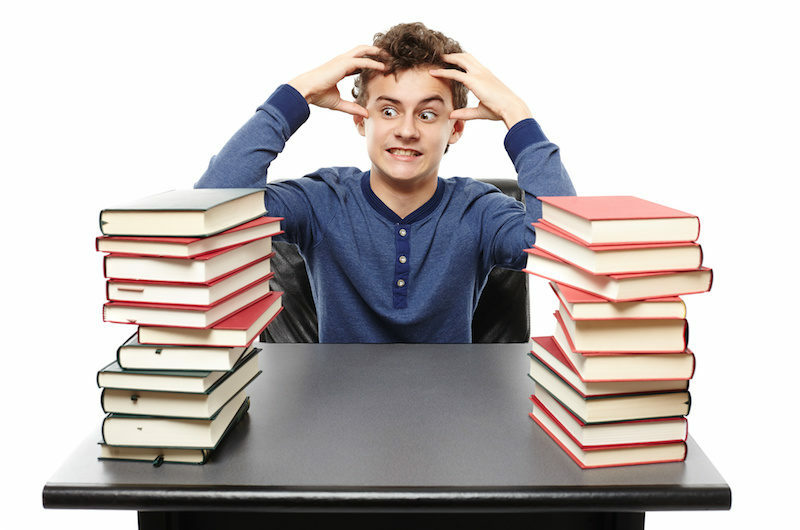 It’s normal to feel a little nervous about taking exams, but for some people exam nerves are so bad that it can affect how well they can study, retain information, and perform during the exam. Here at Inspired to Change we have pulled together our favourite tips to help you get the most out of your brain so all your studying pays off! Try writing down one good thing that happens each day. There are some great gratitude and journalling Apps out there to help you. When we do this simple action our brain releases our feel good hormone serotonin. Serotonin doesn’t just put a smile on our face though. Serotonin helps us to learn faster, store that information better and retrieve it faster later on. So we want plenty of it when we are revising as well as sitting our exams! There can be a lot of pressure to perform and achieve high grades and often the worst of that pressure comes from ourselves. Perfection isn’t something realistic to aim for – doing the best you can is all that is required! Tip 3 – Don’t chain yourself to your revision – get outside! Regular daily exercise isn’t just good for our physical health, it’s also an essential part of our mental wellbeing too, releasing our lovely feel good hormone serotonin into our system. Don’t worry, it doesn’t have to be a 10 mile run or an hour in the gym – just 20 minutes of gentle exercise, like a brisk walk, is all that is needed and is the perfect excuse for a break for your brain from all the revision! Just like exercise, this is essential not only for your physical wellbeing but for your mental wellbeing too. To function at it’s best our brain needs good quality food too – it functions best on low GI foods which provide a slow release of glucose keeping you mentally alert throughout the day. Good fats like those found in oily fish, nuts and seeds also help us to produce more serotonin. And don’t forget to stay hydrated – our brains rely on proper hydration to function at their best! A good night’s sleep is essential to our wellbeing. Not only does sleep help us to restore our bodies but it also helps us to restore our minds so we can make the most of our amazing brains and all the resources it has to help us learn, be creative and have fun. So next time you’re tempted to watch just one more episode of your favourite box set, think again, an extra half hour shut eye could make all the difference to how your brain performs the next day. We like to think we’re good at multi-tasking but actually our brains can only focus on one thing at a time – flitting between tasks wastes vital time and brain energy. So if we want to make the most of our revision and learning time it’s best to eliminate distractions. Turn off your phone, switch off any notifications that pop up on your screen, close the door and put up a do not disturb sign! There is nothing like sitting down in an exam knowing that whatever happens you have done everything you can to give yourself the best possible chance of success. And the only way to achieve that feeling is to put in the work. Everyone is different when it comes to the way they like to study – some people love to prepare by asking their friends to test them, others prefer to learn by themselves. Experiment and find your style of learning to help you be as prepared as you can. Our brain loves what is familiar, it feels safe and that prevents it from hitting the panic button. Setting a familiar routine when you study that you can take with you into your exams will help your brain to get on with what it needs to do rather than getting panicked by the unfamiliar situation. It might be how you set your pens out in front of you before you start, it might be an affirmation or little ritual you do before you start – it doesn’t matter what it is as long as it works to trigger your brain to understand that this is study time and you want to feel calm and focused. Our brain acts on what we predict will happen next so if we visualise ourselves going into our exam feeling panicked and getting brain freeze guess what will happen? We will feel panicked and have a brain freeze! We are telling our brain we are about to enter a potentially threatening situation which triggers off our flight, fight or freeze response which is not a great place to be if we are about to sit an exam! However, if we can visualise ourselves going into our exam feeling calm and relaxed, turning over the exam paper, picking up our pen and confidently answering the questions we are giving our brain the instructions of what we want to happen along with telling it that we aren’t expecting any threats. This means our brain can focus on working in the background figuring out what we need to do to make this happen, rather than figuring out how we are going to survive this “threat”. How we breathe sends signals to our brain about what type of situation we are in. If we are taking lots of short, shallow breaths it is sending a signal that we are frightened about something and our brains flight, fight or freeze mode kicks in. If we are taking long, slow, deep breaths our brain presumes there is nothing to worry about and triggers our relaxation response. There are many breathing techniques to try that will help you stay calm and relaxed – our favourite is the 7-11 method. Breathe in for the count of 7 and breathe out for the count of 11. It’s the longer out breathe that triggers our brain’s relaxation response. Whichever breathing technique you decide to use make sure you practise it often during your normal daily routine – that way, when you need it most it will feel natural. If you are still struggling with exam stress then it might be time to book in for your FREE initial consultation with your local Inspired to Change Hypnotherapist. Inspired to Change Hypnotherapists are based across the UK in Bristol, Cambridgeshire, Devon, Kent, Leicestershire, Lincolnshire, Northamptonshire, Norfolk and Somerset.